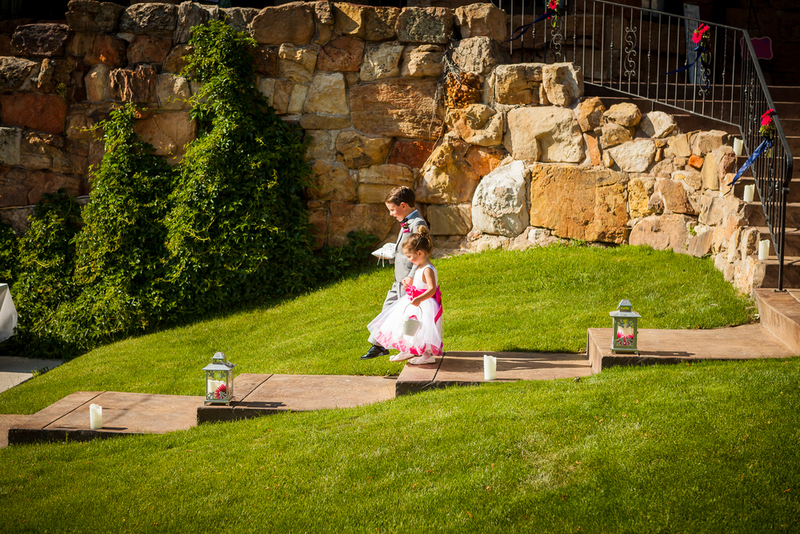 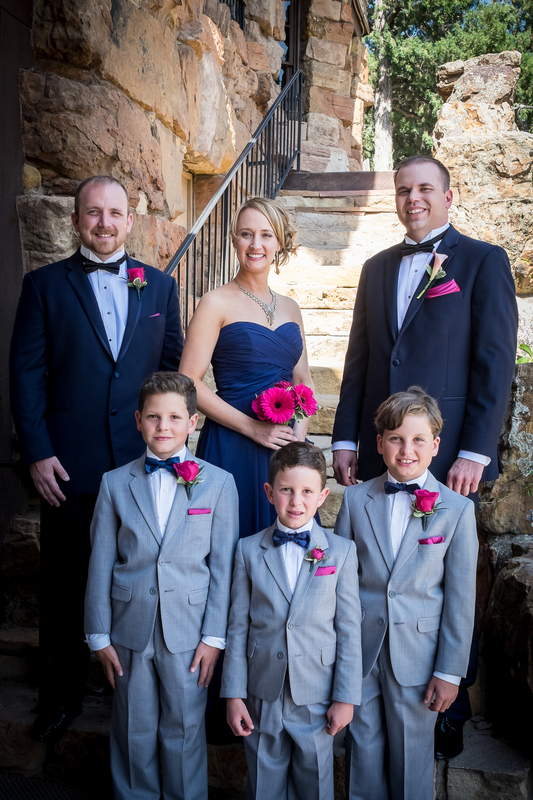 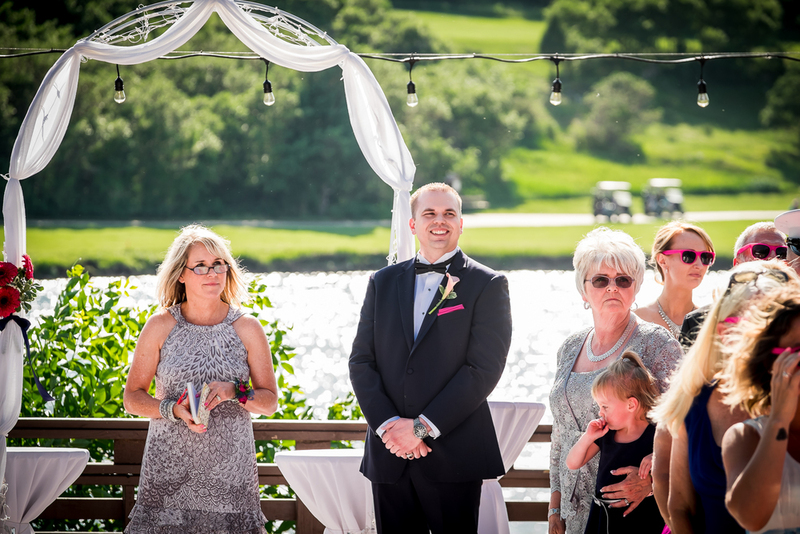 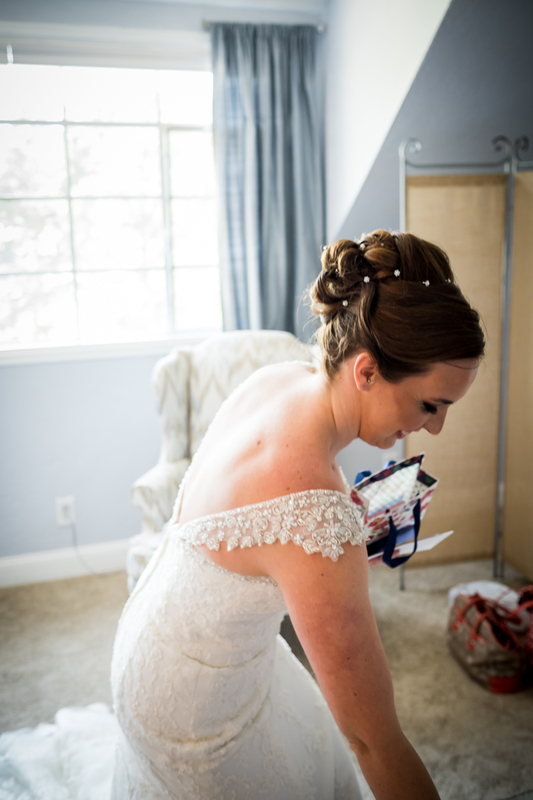 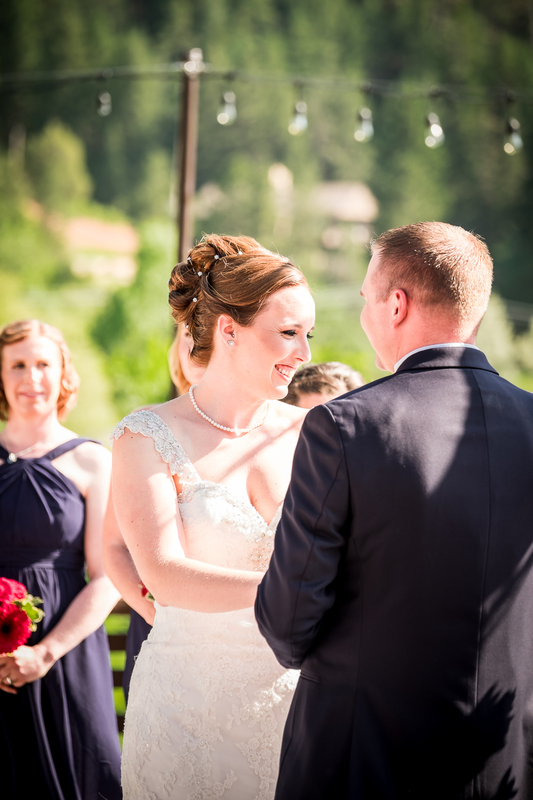 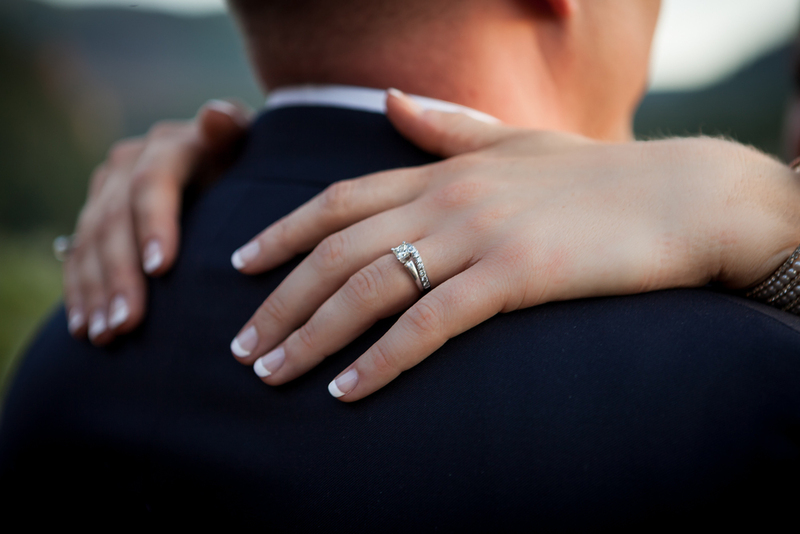 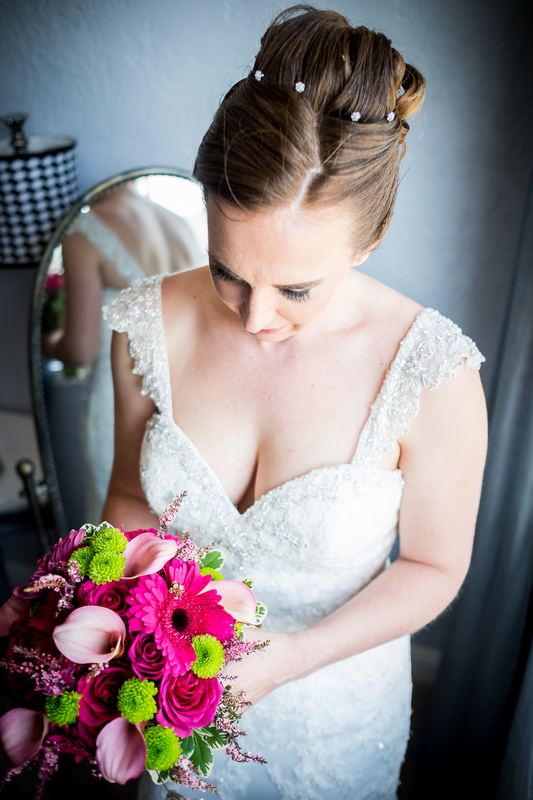 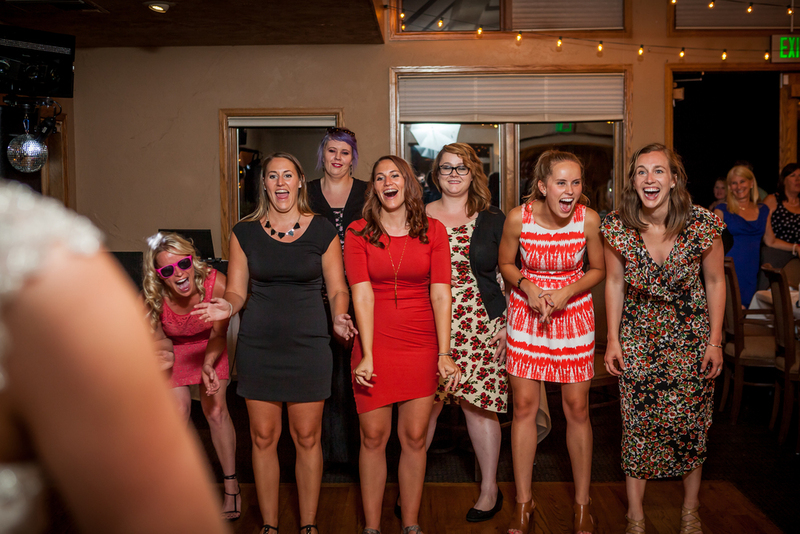 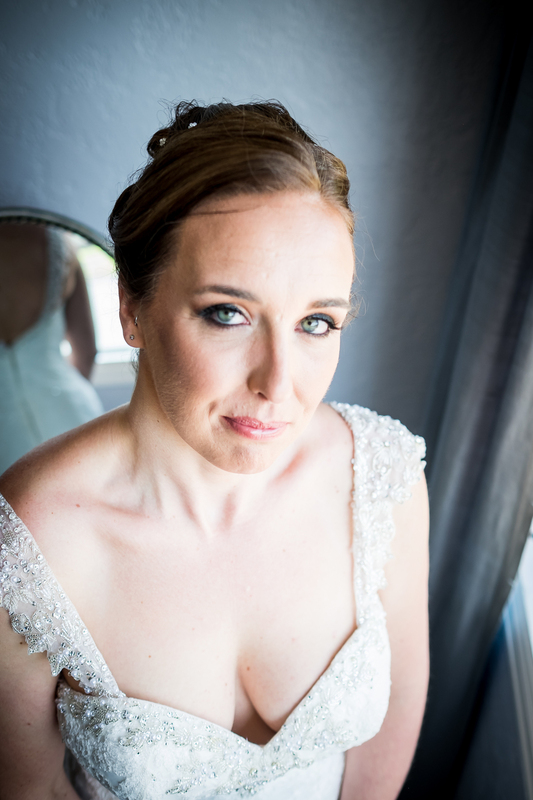 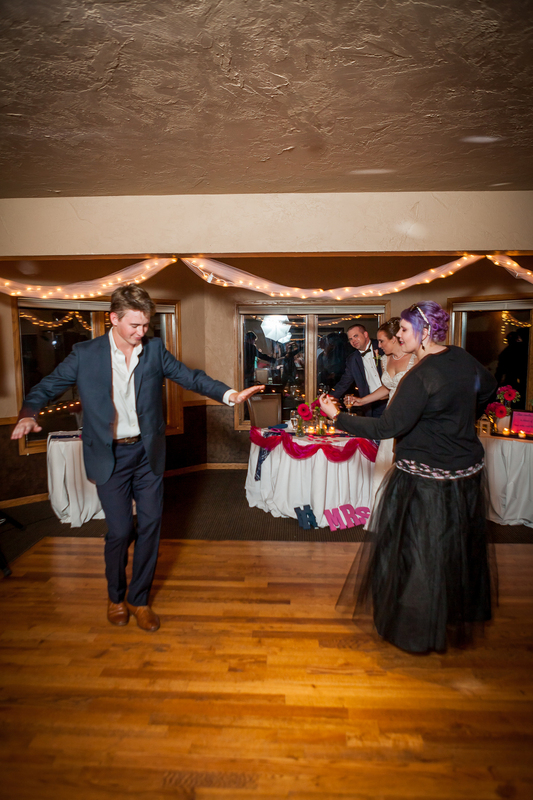 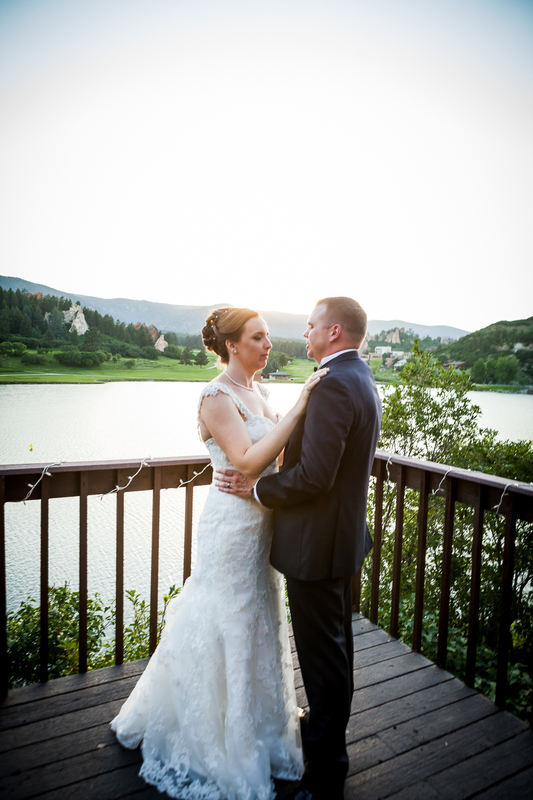 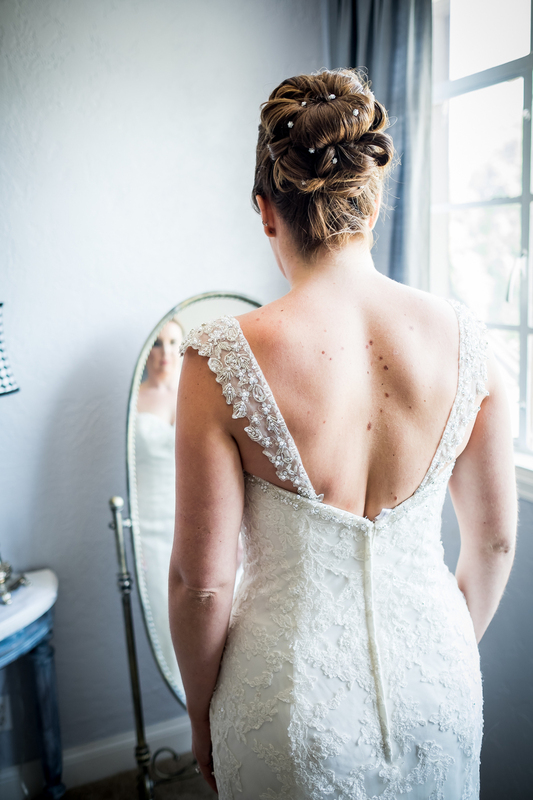 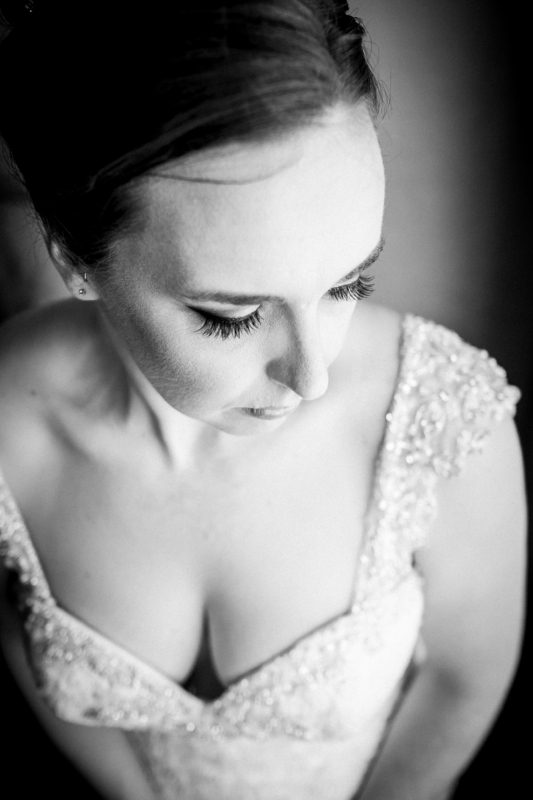 Katelyn and David's wedding day was one of the hottest I've yet experienced in Colorado. 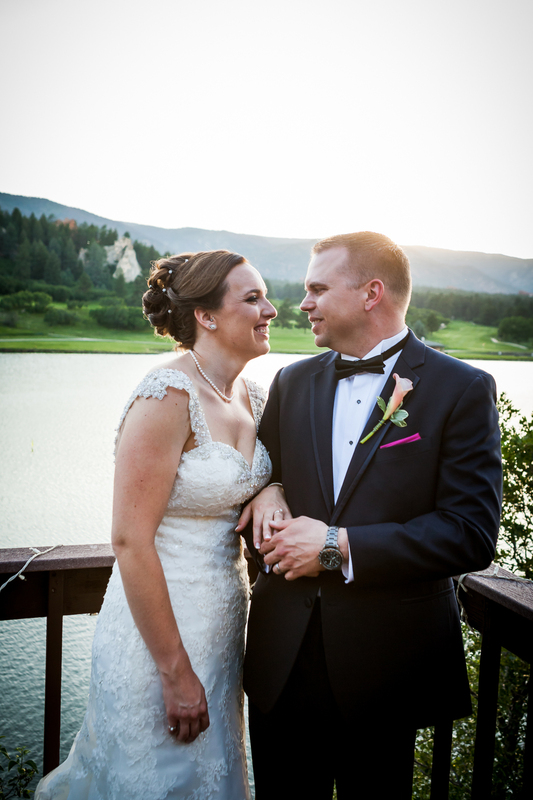 The bright, unrelenting sunshine, and temps north of 90 degrees are unusual in the mountains, Katelyn and David couldn't have planned for it better though. 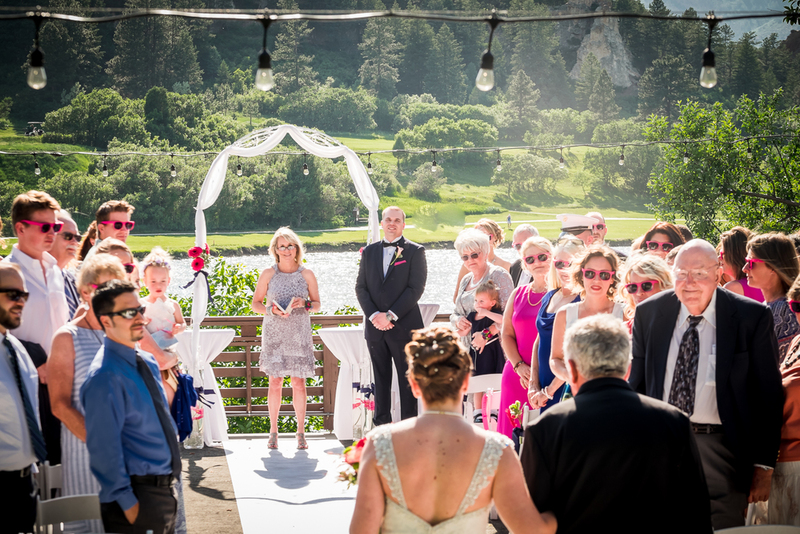 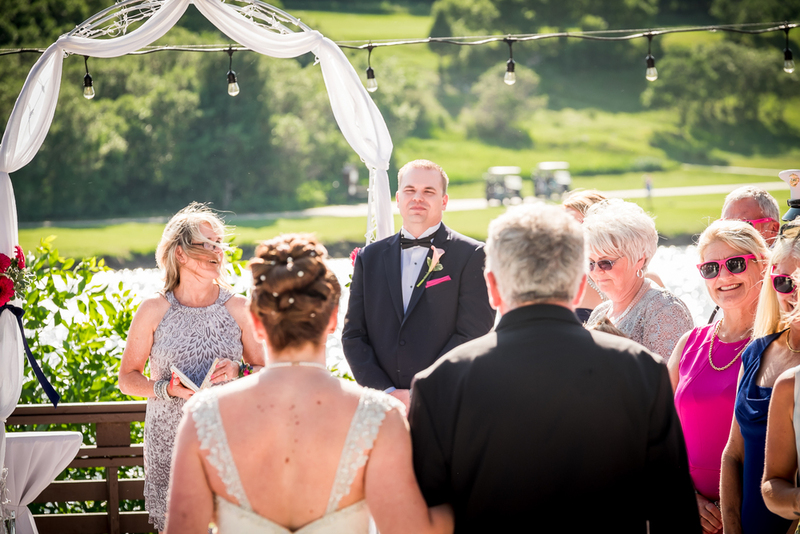 They bought all their guests bright pink wayfarer style sunglasses to wear during the ceremony, and the Perry Park Country club was the perfect location. 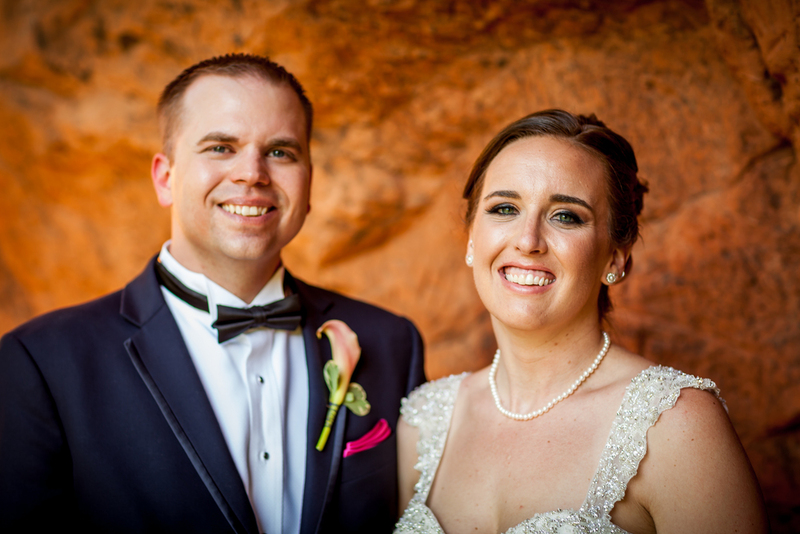 Everyone kept cool with icy beverages while Katelyn, David, and I, along with the Matron of Honor and Best Woman, took a golf cart ride out to the course's signature rock formations for photos.